Book cheap Tufesa bus tickets online, find schedules, prices, bus stations locations, services, promotions and deals. Busbud is an authorized Tufesa ticket seller. Dedicated customer support 24/7. Busbud and Tufesa are official partners. Busbud helps find, compare and book Tufesa bus tickets online in an easy and secure way. Tufesa has been offering comfortable, safe, enjoyable and affordable bus travel since 1994. 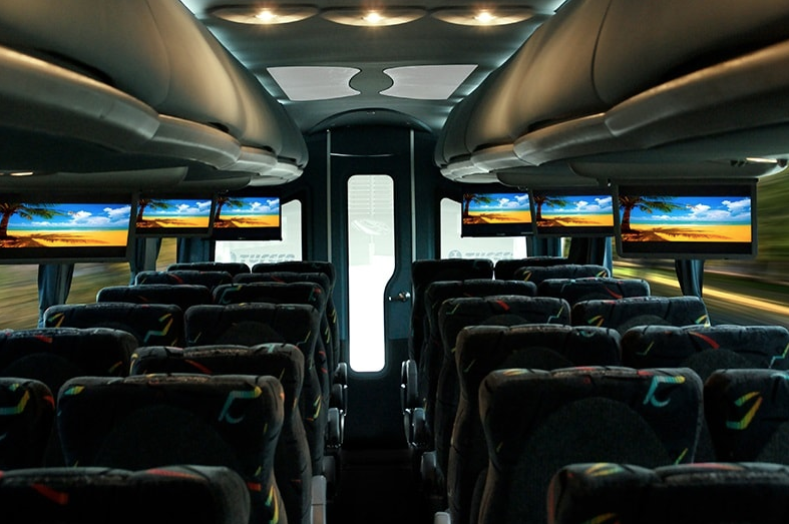 Tufesa serves bus routes in the United States and Mexico. You can find Tufesa bus services in California, Nevada, Utah, and Arizona in the U.S. with frequent services to cities including Sacramento, Las Vegas and Salt Lake City. 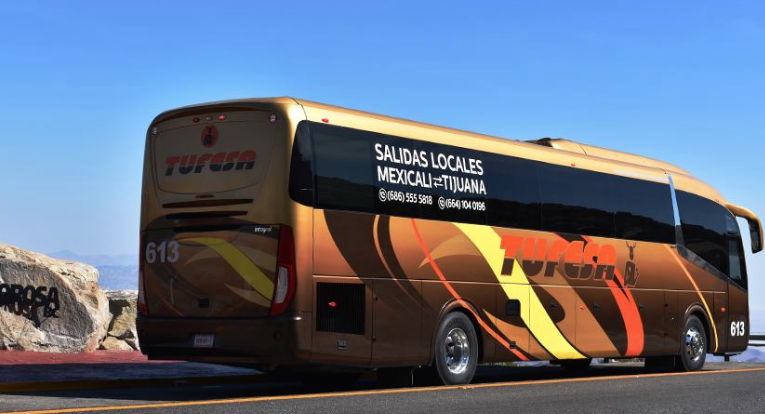 Tufesa also offers bus routes in Baja California Sur, Sonora, Sinaloa y Guadalajara in Mexico. Busbud has been an authorized seller of Tufesa bus tickets. You can easily find the fastest, cheapest, and best-rated Tufesa bus departures on Busbud - at no additional cost! Bus was four hours late and staff did not inform me. I had to call repeatedly just to find out basic info. Incompetent company. Ride was ok. Bus wasn’t full. No kids crying. Did not get a new head linen cover and it was a bit smelly. Overall, I appreciated the cost the ride was comfortable. I love tufesa the drivers was so great she was extremely nice and very attentive to the passengers I was impressed with her level of professionalism and customer service. Horrible service leaving out of Ontario. I missed the bus even though I was on time because it had left early. DO NOT ever take this bus service. I was coming home from college to visit family in Fresno. My mom was at the 937 Fresno St location as stated on my ticket waiting to pick me up. I was not dropped off at that location but 3 blocks away in an industrial area infested with drug users, homeless, no street lights,pitch dark. I was left alone in the dark as I was the only person getting off in Fresno and the bus drove off leaving me in this unknown area. I was approached asking for money, harassed with sexual comments. Standing alone in panic till my mother was able to track my location and drive to where I was. Needless to say myself and mother have never been so angry and scared of the situation this company put us in. Never taking tufesa bus again. Huge delay. More than 2 hours! Staff was friendly and helpful! They even gave out little gift bags with water, snacks and earbuds for the TVs. Very considerate! Staff was very helpful. Was able to switch to a different bus without any difficulty. Bus was clean and comfortable. The address of the bus stop was incorrect And when I called the bus line the employees were rude. They gave me another spot to wait at a couple blocks from the spot I was given but the bus never came when I called back they said the bus had already left. Horrible service! Suggest they show if there are additional stops along the route. Most dialogue is in Spanish. It's difficult for those of us that don't know Spanish!! Does Tufesa have WiFi onboard? Yes Tufesa offers WiFi connection on most of their buses, yet some trips might not come equipped with Wifi onboard. What is Tufesa Bus' luggage policy? You are allowed one (1) carry-on bag and one (1) checked bag up to 51.81 lbs for free on Tufesa buses. Can I travel with my pet on Tufesa? Only service animals are allowed onboard. Does Tufesa have bathrooms onboard? Yes, there is a restroom onboard each Tufesa bus. Busbud is a bus search tool - we include Tufesa routes, schedules and prices in our searches along with many other bus companies. You can compare prices, amenities and times by searching for a route. If you find a suitable trip, you can go ahead and get your Tufesa ticket from us. Note that buses sell out, Tufesa and other operators generally charge a lot more for last minute tickets or for tickets bought in person.